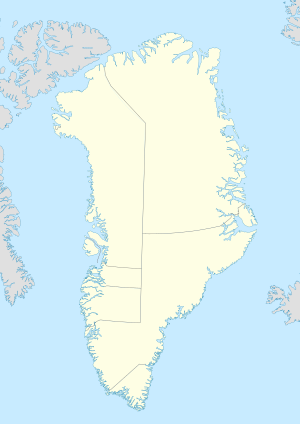 Ikkatteq (old spelling: Íkáteq) was a small village in the Sermersooq municipality in southeastern Greenland. It was abandoned in 2005. The settlement was located on a small island in Sermilik Fjord, off the southwestern coast of Ammassalik Island, approximately 16 km (9.9 mi) to the west of Tasiilaq. ^ Vandrekort Vestgrønland: Tasiilaq/Kulusuk (Map) (1996 ed.). Cartography by Compukort, Denmark. Greenland Tourism a/s. This page was last edited on 1 May 2017, at 17:18 (UTC).